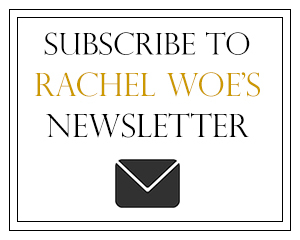 Rachel Woe is a forbidden love junkie who probably watched too many inappropriate movies as a teenager. A longtime lover of risqué fiction, she used to smuggle Story of O and The Sleeping Beauty trilogy to school, folded inside brown-bag book covers. On the rare occasion when she’s neither reading nor writing, you can find her camped out at the back of the cinema or on the hunt for a perfect Irish eggs Benny.